This is the second blog post of our Advent series. Every Sunday we will feature a reflection by one of our current or former volunteers. You can download the entire reflection guide here. Sometimes I find myself throwing accusations like the one above at the biblical writers. Accusations saying that the story would get along fine without telling us what the year was, or who was in charge, or where the particular location was, because it’s the happy ending and moral that I’m looking for. But it is in those exact moments of accusation that I most need to be reminded when and where these things happened, because we aren’t reading just another story today. We’re reading about John the Baptist, a particular man in a particular time, who laughed and ate and didn’t shower quite as often as his parents might have liked, just like me. Because, like John the Baptist, I am a particular person in a particular time. And, like when “the word of God came to John the son of Zechariah in the desert” (3:2), the word of God comes to me regularly in small movements within my life to ask for great things. If “the winding roads shall be made straight” (3:5), I had better get started; there is a lot of crookedness in the world around me! John went to the desert to lead a simple life. He didn’t want to change the world at first; he was, after all, a religious hermit for most of his young adulthood. I find myself in John’s shoes a lot; not so much his diet of bugs and honey, but his desire to leave behind the troubles of the world. Sounds great, doesn’t it? To give up distractions? To focus solely on God? What better way is there than to retreat! How wonderful would it be, except that the fruit of retreats is so often the Word of God calling us to action? Not a big, booming command, but a simple daily whisper: “proclaim; prepare; repent; forgive.” Just like John the Baptist heard his call in the desert, we must likewise follow God’s message when we are called, even if we are in the midst of our own desert. We prepare for the holidays in many ways: by decorating with festive greens and reds; buying gifts for family; getting plane tickets home. Advent is a time of spiritual preparation for the coming of Christ as well – both a remembrance of his birth to a virgin, and a hopeful longing for his second coming in full glory and splendor. Have you spent as much time in spiritual preparation as you have in holiday preparation? Make the time this week and hear God’s particular calling to you: proclaim; prepare; repent; forgive. 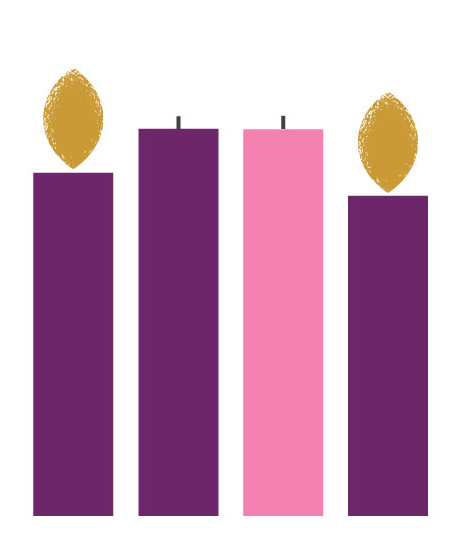 This Advent, how will you work for social justice? Advent: A Season of Service is a collaborative effort of Catholic Volunteer Network and theCatholic Apostolate Center.